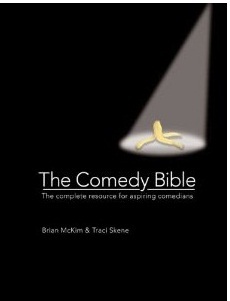 Brian McKim & Traci Skene-- Comedians, Writers, Authors: McKim & Skene Await Publication of "The Comedy Bible: The Complete Resource For Aspiring Comedians"
McKim & Skene Await Publication of "The Comedy Bible: The Complete Resource For Aspiring Comedians"
"The Comedy Bible: The Complete Resource For Aspiring Comedians" will hit the bookstores on October 1, 2011! It's available now on such popular websites as Amazon.com and BarnesAndNoble.com for pre-order! Published in the U.S. and North America by Barron's Educational Series (and in London and worldwide by Quintet Publishing Ltd.), the 256-page, lushly-illustrated book gives aspiring comedians the push they need to get up onstage and explore the devilishly difficult but immensely rewarding art form known as standup comedy! 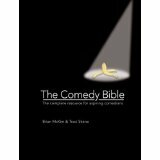 Check out the Comedy Bible website here for news, updates and press hits! AUDIO CLIPS of our recent appearances on the Dennis Bono Show radio show! Traci's New Sampler Video! Traci's Sampler Video! "The funniest show I've seen in quite a while. To find out you 2 were married made twice as good!! Thank you guys sooo much for the experience. Buying your book ASAP! :)"
"You and Traci had us in stitches! Two wonderful shows wrapped up into one! We saw your Youtube clips and decided yours would be a great show." Contact us via phone at 856 993-6284. 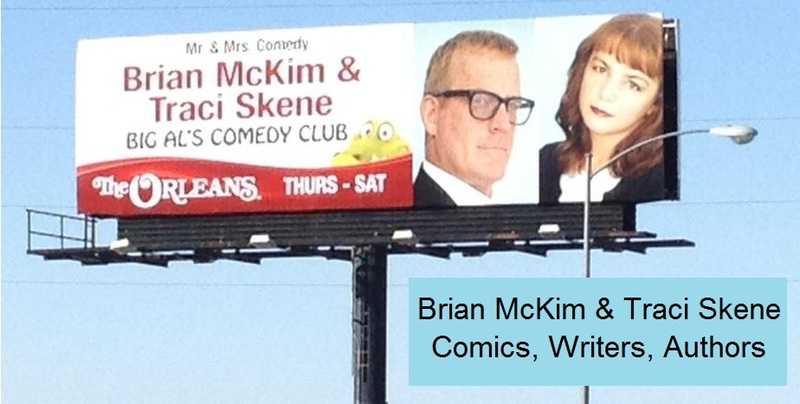 Send us an email at brianmckimcomedy("at"sign)gmail.com.